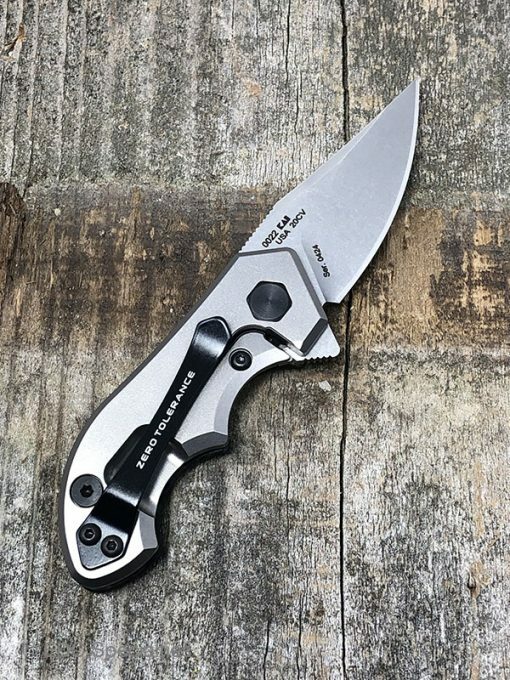 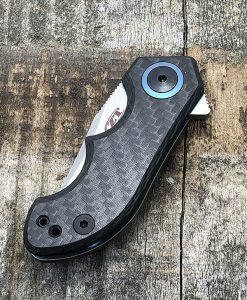 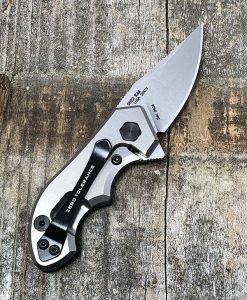 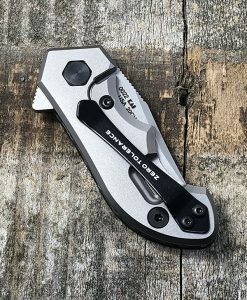 The 0022 is the smallest ZT they’ve ever made. 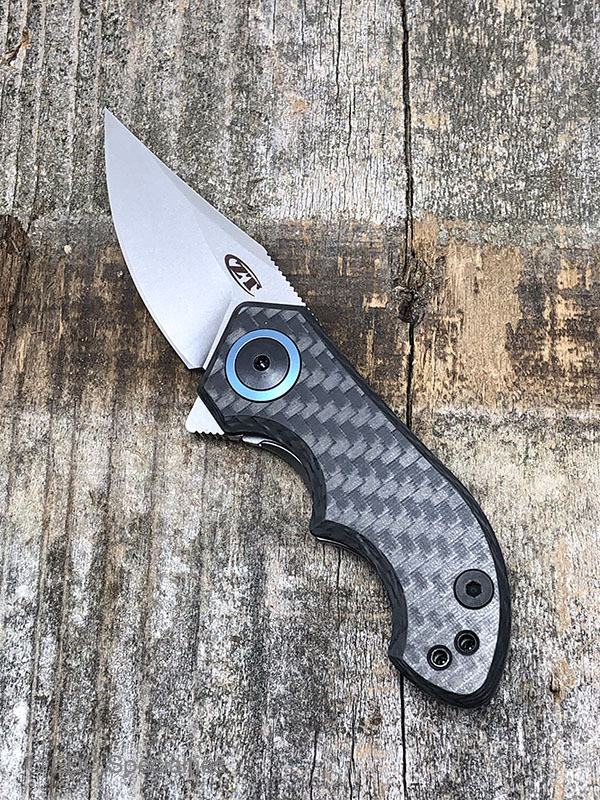 The blade is made of CPM 20CV steel for superior hardness and corrosion resistance, as well as toughness, wear resistance, and excellent edge retention. The handle features a carbon fiber front scale with stonewashed titanium back. 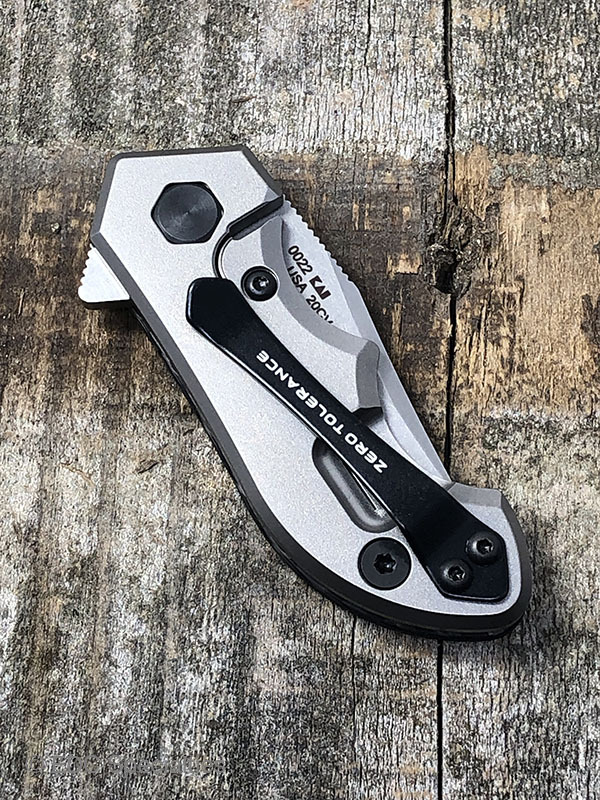 And even though it’s small, the 0022 is designed for hand comfort with deep finger contours to ensure a good grip. 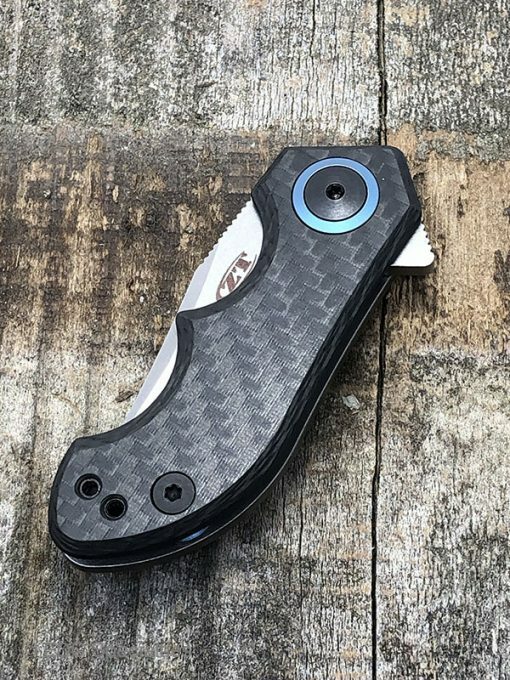 The KVT ball-bearings makes it quick to open and close the 0022 with a flick of the flipper tab. 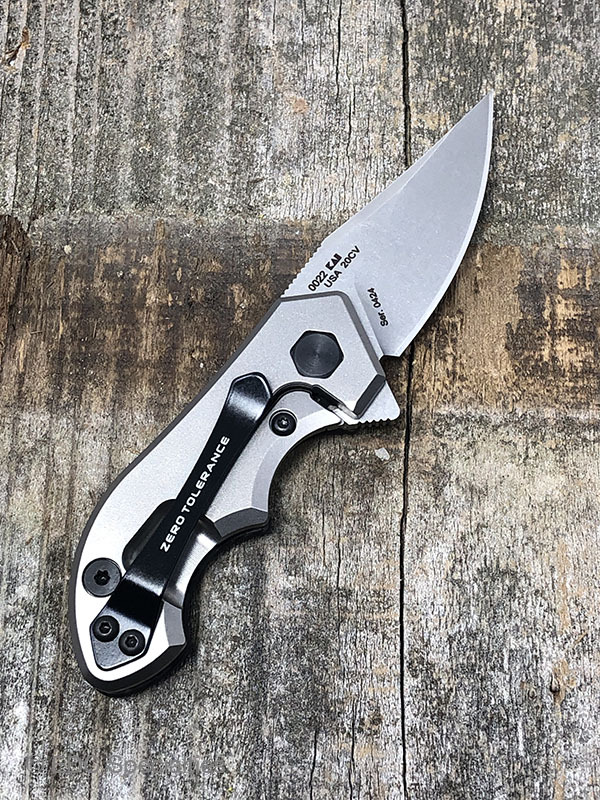 This little knife is office-appropriate and is more than capable of multiple tasks, or even as a backup knife.